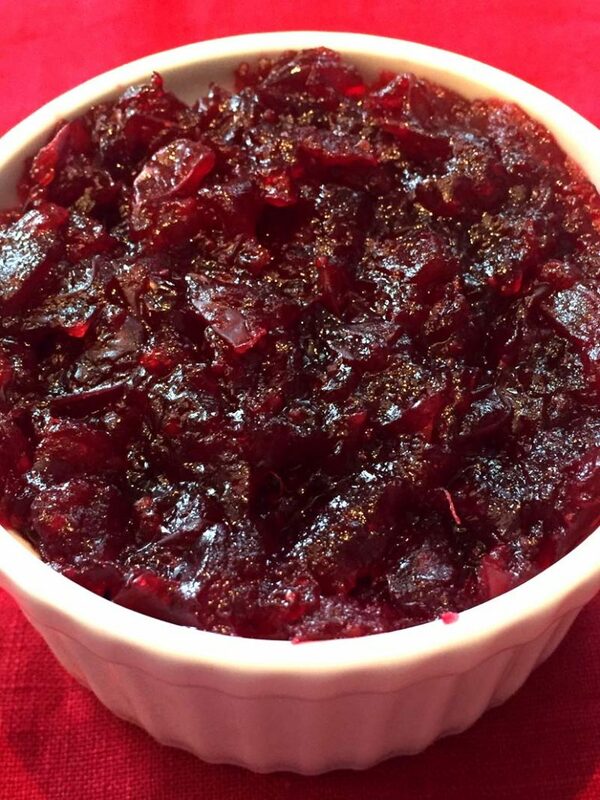 This Instant Pot cranberry sauce is amazing! Homemade cranberry sauce has never been easier thanks to the Instant Pot! Look at this bright red cranberry sauce! 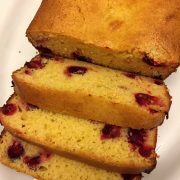 Made from scratch from fresh cranberries, it is truly mouthwatering! You will want to stick your spoon in the Instant Pot and eat up this cranberry sauce before it even gets a chance to cool down! Who can resist this sweet and sour goodness? Homemade cranberry sauce tastes so fresh and intense, once you try it, you’ll never want to eat the cranberry sauce from the can! Best of all, homemade cranberry sauce is so easy to make with the Instant Pot, there is no excuse to have the canned stuff around. 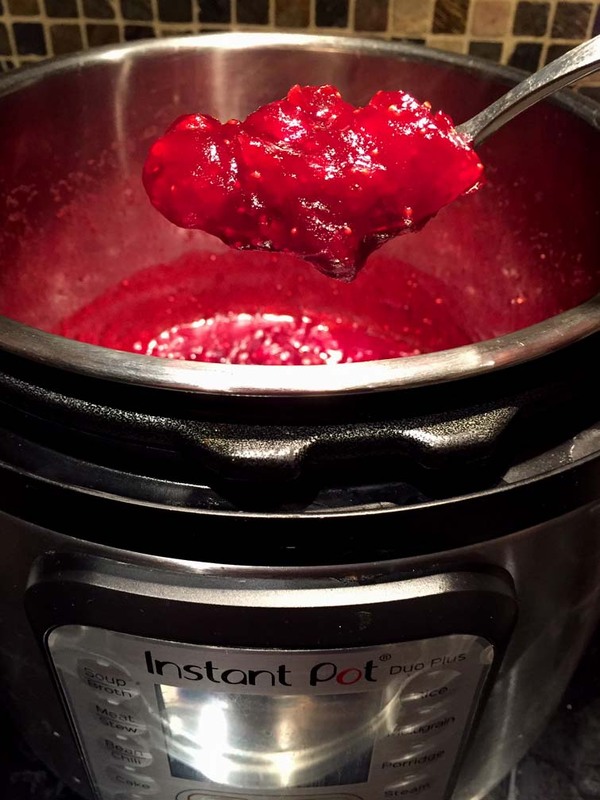 With the Instant Pot, you don’t need to “babysit” the pot – just dump in your cranberries and walk away, it will make cranberry sauce for you! No Instant Pot? Learn more about it here. I also have a recipe for a stovetop cranberry sauce (no Instant Pot needed for that one). You can make this cranberry sauce ahead and keep it in a refrigerator for up to a week. You can also freeze it for up to 3 months. I love making things ahead, especially when it comes to holidays – check out my recipes for Instant Pot make-ahead gravy and make-ahead mashed potatoes! Classic cranberry sauce recipe is using sugar as a sweetener, but you can use honey or maple syrup instead. 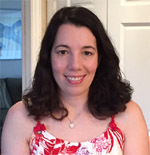 You can even use artificial sweetener like Splenda or Erythritol for a low-carb version. 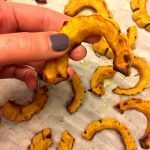 Just follow the directions on a printable recipe card on the bottom of this article with a sweetener of your choice. 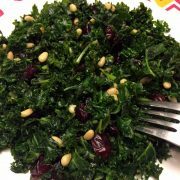 ( I also have a 2-ingredient cranberry orange sauce recipe you might be interested in). Making Instant Pot cranberry sauce is really easy. All you need is a bag of fresh or frozen cranberries, sugar and water. Put these 3 ingredients in the Instant Pot and pressure cook on “High” for 5 minutes, then quick release (QR) the steam and cook on Saute for another 5 minutes. 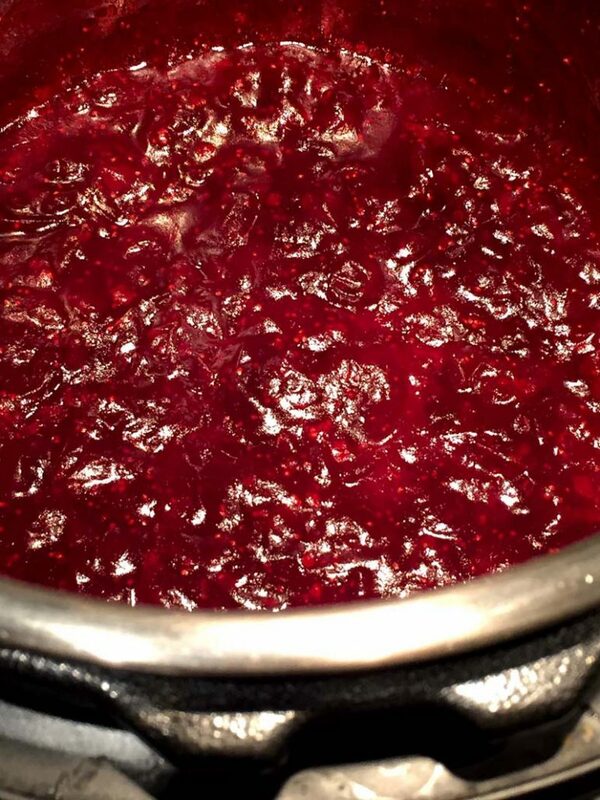 Your homemade cranberry sauce is ready! Instant Pot Turkey Breast – so perfectly cooked, tender and moist! This is the easiest way of cooking turkey breast ever! Instant Pot Cornbread – this cornbread is so golden and fluffy! Bake this cornbread right in your Instant Pot! 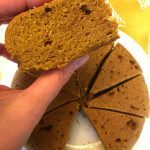 Instant Pot Pumpkin Cheesecake – Instant Pot is a foolproof method of making cheesecakes, they always look so good (never crack) and taste amazing! Instant Pot Pumpkin Pie – this pumpkin pie is so smooth and flavorful! This is the only way I make pumpkin pie these days! Instant Pot Mashed Sweet Potatoes – truly effortless to make and so perfect! 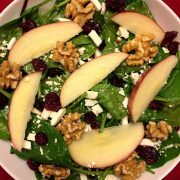 Looking for more recipes to make with cranberries? 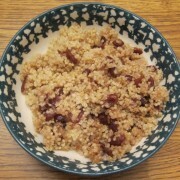 Check out my cranberry recipes collection. 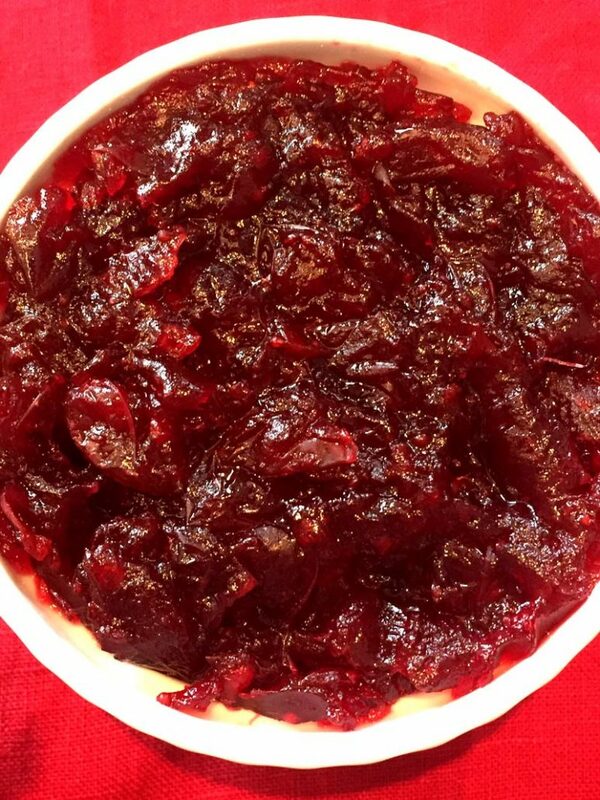 This Instant Pot cranberry sauce is amazing! So easy to make in the Instant Pot! 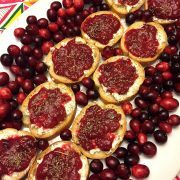 Once you try homemade cranberry sauce made with fresh cranberries, you'll never want to eat one from the can! 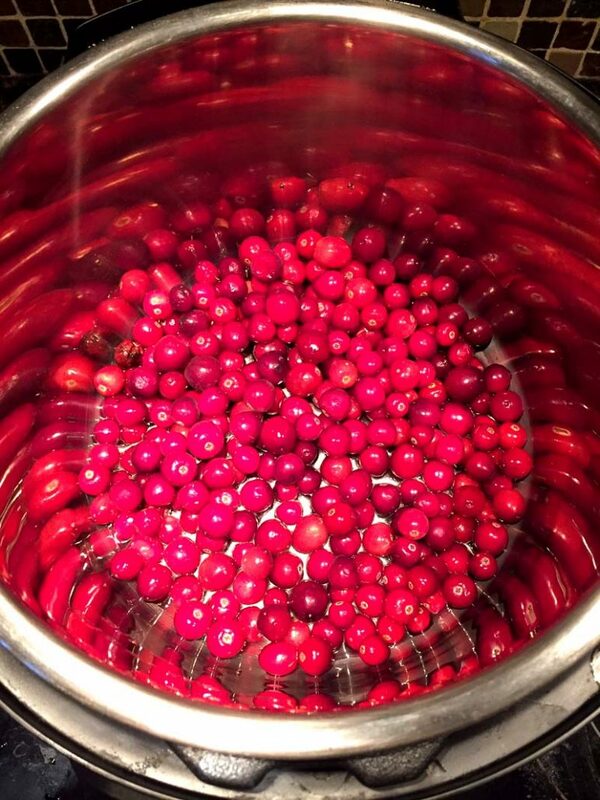 Put water, cranberries and sugar in the Instant Pot. Close the lid and turn the valve to a Sealing position. Press the "Pressure Cook" or "Manual" button and set the time to 5 minutes on High pressure. When it's done cooking, quick release (QR) the steam. Press the "Cancel" or "Off" button. 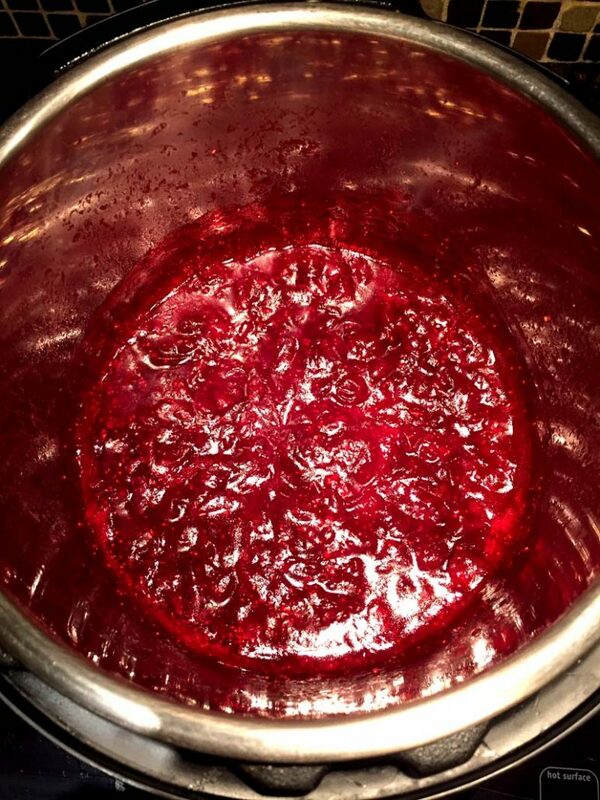 Open the lid of the Instant Pot and mix the cranberry sauce with a spoon. Press the "Saute" button and set the time to 5 minutes. 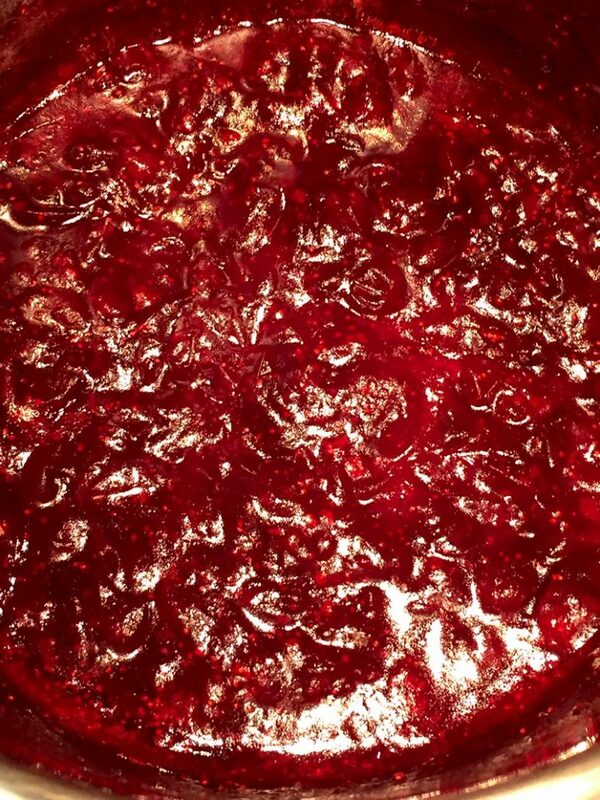 When it's done cooking, your homemade cranberry sauce is ready. 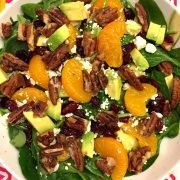 Spinach Salad With Candied Pecans, Dried Cranberries, Avocado, Feta and Oranges!